Contact Usemail or call today! Don't Buy A Boat™ - Join The Club! Lake Murray Boat Club, the Midlands only Boating Country Club®, is a worry-free alternative to the expense and time commitment of traditional boat ownership. 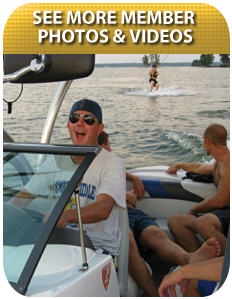 Members enjoy unlimited use of the finest fleet of watercraft and water toys in Columbia, SC. We take care of the details so that you can enjoy the best part of boating - getting on the lake and making memories with your family and friends!